and was tempted by Satan. He was with the wild beasts, and the angels looked after him. After John had been arrested, Jesus went into Galilee. There he proclaimed the Good News from God. ‘The time has come’ he said ‘and the kingdom of God is close at hand. Every Lent is a new beginning; sometimes beginnings are welcomed, other times half and half! We welcome Lent as a time to make our faith fresh, but we know from other Lents that it’s hard to keep going, and it’s for a long time! 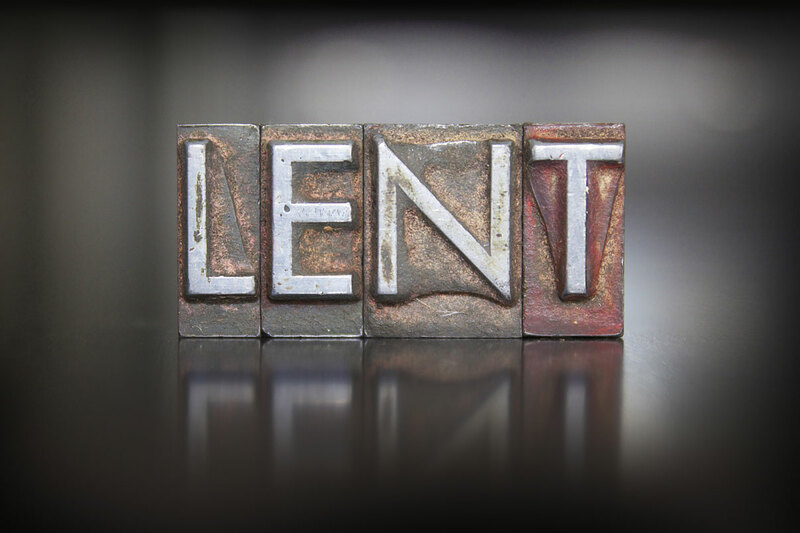 We might ask ourselves what Lent is really for. The focus of Lent is not on what we give up but on what we are given. We focus our minds on the self-giving love of Jesus which we will celebrate in Holy Week. We allow ourselves believe in this love. Often it’s difficult to believe in the tender love of God. This conquers all else in the world; it is given in the mercy and compassion of God. Lent pours the grace of forgiveness into our world, needed individually and as a people. We need to know that God is bigger than any of our sins, wars, violence and hatred. God wants his kingdom to come now. Lent is our time of saying ‘yes’ to a partnership with God in saving the world from the effects of evil and sin. Pray a bit, read the gospel every day, do something good for another every day – this is the way to share in the saving love of God. Maybe we can ask what our Lent does for others rather than just what we are doing for Lent. It is a time of renewal, then it shows in love, forgiveness and care of others in our lives. This entry was posted in Gospel of Mark, Gospel Reflection, Liturgy Resources, Prayer Resources, Scripture, Year B and tagged Donal Neary SJ, February 22nd 2015, Gospel Reflection, Gospel Reflection for 22nd February 2015, Jesus, Mark 1:12-15, Scripture and Reflection for the 1st Sunday of Lent Year B.